Mashed potatoes is one of the easiest and tastiest side dishes to make for many meals. I'm often surprised at people when they state they don't know how to make it (honestly, the name basically says it all). There's no perfect way to make mashed potatoes, since everyone's preference is different. Do you like it lumpy or smooth? Plain or garlic flavored? 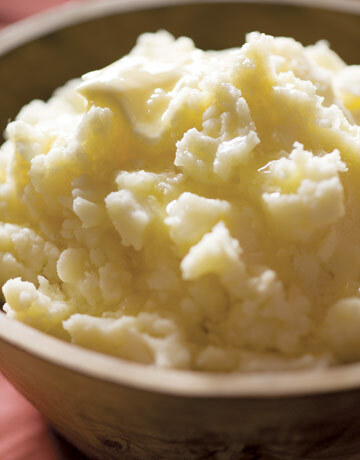 There are countless ways to add flavor to mashed potatoes. Personally, I like mine smooth and buttery. I like to add butter, cream, and cream cheese to my extremely mashed potatoes. I also like to leave the skin on (I'm not sure why, but it tastes better to me). The amount of each ingredient is up to you! Just remember, you can always add more, not less, so keep taking "test" bites while you're cooking.